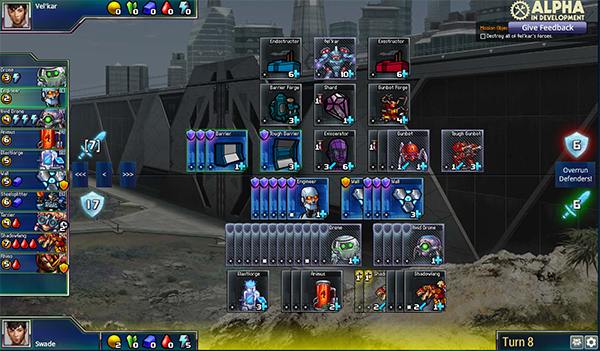 In designing the combat units for the game Prismata, there are a number of important considerations relating to gameplay, narrative, and artistic style. The look and feel of the game units affects how users feel when playing the game, how they perceive the story, and how well they intuit the actual game mechanics. We began by designing the most important and difficult units: those in our base set. These are the units that users can purchase in every single game of Prismata, and they are among the first units that users encounter in the single player campaign. We needed their look and feel to be perfect. Armies fighting Aliens. Warriors teaming up to land a hit on a Dragon. Almost every RPG, strategy game, and card game containing battle of some sort has the concept of unit-on-unit combat—the notion of “I am commanding friendly unit A to attack enemy unit B”. After all, it makes perfect sense given our understanding of how warfare proceeds in real life. And it works extremely well as a gameplay mechanic. 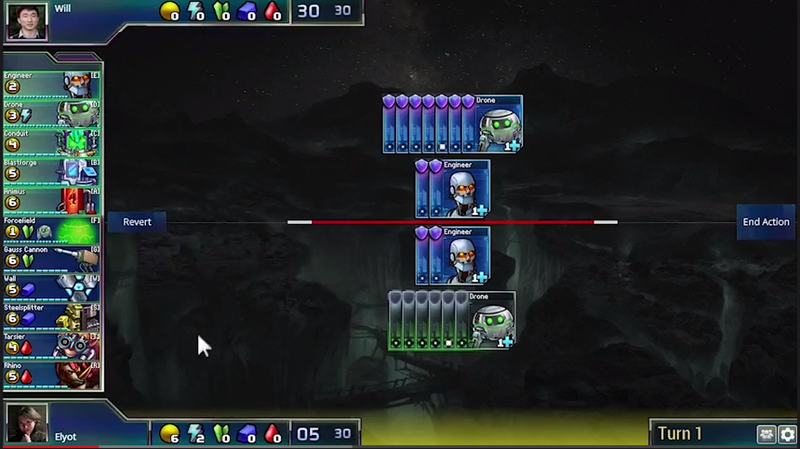 Prismata is different. Our combat system contains no unit-on-unit combat at all. Given its traditional role in competitive games, why on earth would Prismata choose to abandon unit-on-unit combat? In the Making Prismata series, we’ll explain our decisions in the design of the core gameplay mechanics and units. As a hybrid strategy game incorporating many different elements from real-time strategy games and card games, every element of Prismata’s final design has been endlessly scrutinized. Nothing was left unquestioned because it “worked”. With the release of the first wave of Beta keys on the horizon, we thought it would be a good idea to show off some Prismata gameplay. In the following videos, Lunarch Studios founders Elyot Grant, Will Ma, and Alex Wice commentate a few friendly games and explain their decision-making and strategy. While much of the look and feel of the game is rapidly changing as development continues, the core gameplay remains as it has been for years. Subscribe to us on Youtube to be notified about all the new video updates. We plan on posting new videos weekly.